Look! Could this be our F/F team --the ones in tight warm up pants?? This album (thanks again for the leads Slowhatch). 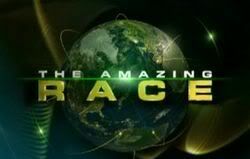 Anybody watch The Amazing Race? Why can't I figure out what that is ? Mobile phone? what the hell ? Anyway whatever. First Mobile Payment Settlement Inc.
Close, but I don't think so Peach. All over Europe they have these machines, which sell parking stubs indicating a specific time that you paid paid until. You stick it inside the windshield of your car when you park on the STREET. It is the European equivalent of hundreds of parking meters. In the U.S. such machines are indeed found in many unattended parking lots and the meter maid will get you if you don't have a valid stub inside your windshield when they come. 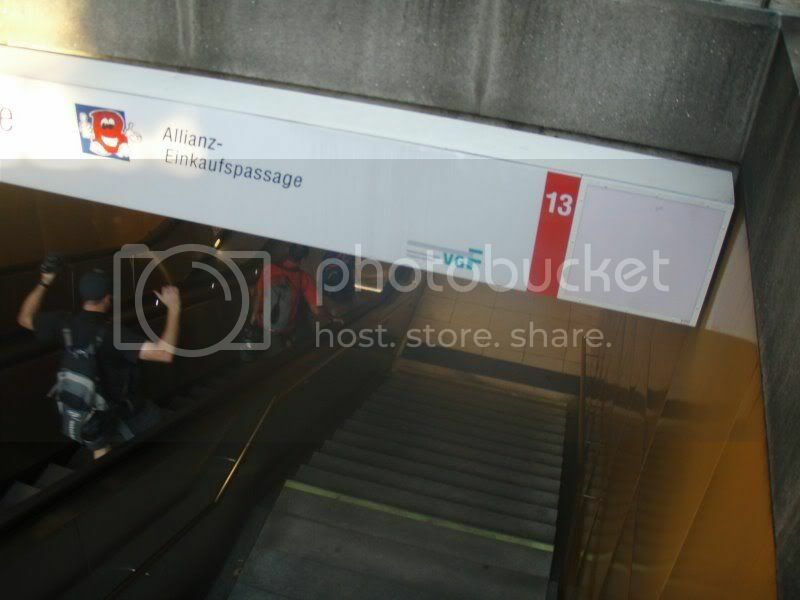 but we think TARA 2 may have been in NZ around July 14 so Frankfurt is really prob TAR 12? My timeline of New Zealand indicated July 10 for Rotorua. A photo labeled "Amazing Race Korea" was labeled July 12 - 16. ARA2 was not in New Zealand on July 14. They were either in Korea or leaving there on their way to Europe. Sorry, but I want to throw a monkey wrench into the works. 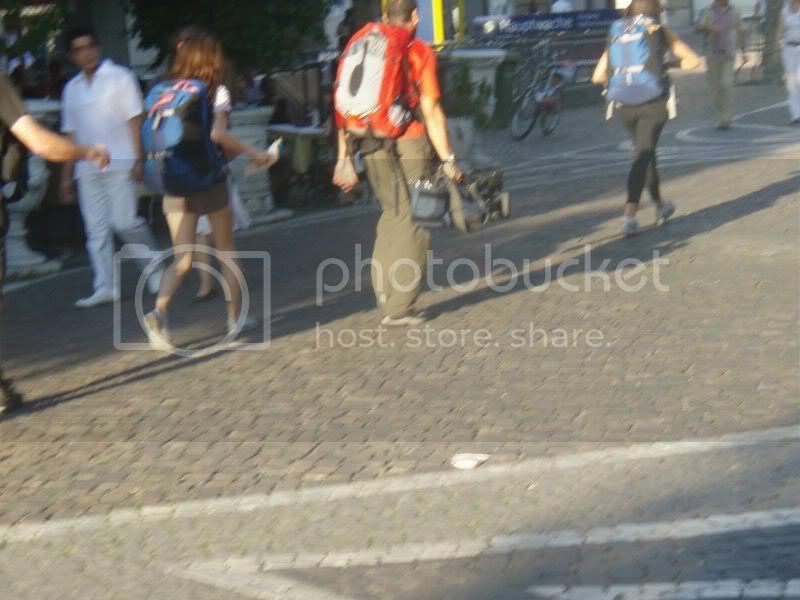 Compare the backpacks with the video Puddin found. I think the team might be Paula/Natasha. Frankfurt, Germany July 15th ? Picture evidence HERE thanks to peach and credits to Slowhatch as well . I agree darn it all...looks just like them. But the problem is I thought we had TARA 2 in NZ on those dates? I'm at work --can someone double check this pretty please? As I stated --I am at work and unable to read all the threads, which is why I asked someone to check for me, apskip. Just a reminder that some of the conversations in this thread might not seem in synch due to the fact that I moved what we thought might beTAR12 spoilers over to this thread after it was pointed out that we were on the wrong track and they were indeed TAR2 sightings. LH713 nonstop departs Seoul 1315 arrives Frankfurt 1835. Remember that the plane is moving with the sun. One of the last ones is KE895 departs Seoul 1905 arrives Shanghai (PVG) 2000, then connects with MU0219 departing PVG 2335 arriving FRA 0505 July15. There are several combinations in between and a few combinations just after 1905. From Frankfurt to Prague, there are about 10 flights each day. The last is LH3266 departing at 2005 arriving at 2305 (plus a one hour time change). The first is LH3258 departing 2010 arriving 2110. It was Slowhatch who sent me in the right direction--I was just lucky! Theres a promo at this site but be warned it is full of pop ups. It's now crunch time, since there are only 3 days to go until teams are introduced in the special ARA2 Team Introduction show that begins ARA2 on AXN. I want to see if we can push to get some approximation of a complete route in the next 3 days. My best guess on where the FINAL CITY will be is in THAILAND, although probably not BAGKOK. I am going to guess CHIANG MAI or PHUKET. What is your best thinking on what is going to happen to the ARA2 route in July after July 20 in Budapest? Thanks for resurrecting this apskip! I'll be wishing TARA2 had figured out a way for us all to watch! So I am voting for salt farms in Samutsakorn Thailand. I hate to admit it but I might just wait TARA2 out until our TAR12 is over. Who would have known that CBS loves us ? I am now substituting these and withdrwing Chiang Mai and Phuket as proposed locations for the Finish Line of ARA2. I personally am rooting for Ayatthaya. It is the closest to Bangkok of any on this list. Also, I visited there in 1978 as a stopover on the way to Chiang Mai. It was very impressive then and I am sure that it still is. Of the above, the India, China and all of Thailand are speculative. All the earlier legs plus Tokyo are confirmed, although the timing of Tokyo is not. Anyway, with regards to the TARA2, I think I have identified the starting line for TARA2. With some aid from Flickr and also Google Earth based on some of my own local knowledge (hehe. 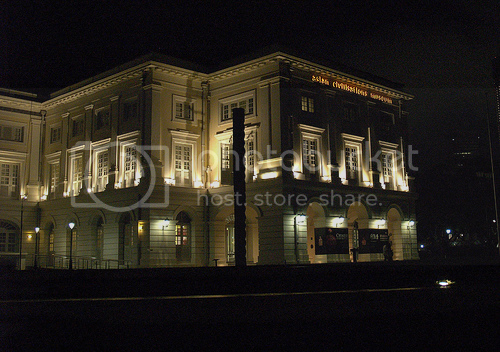 ), the building has now be identified as the "Asian Civilisation Museum". Based on the promo, "cross-refrenced" to Google Earth, it should be right and should be at the back of the musuem compound, with the grass patch and the mysterious black column structure thing there, where the view of Boat Quay can be seen. (this was seen in the background as Allan was giving the "intro speech" to the teams at the starting line. Additionally, I think everyone knows Suntec City will be featured again. (3 times... TAR3, TARA1, TARA2.) This time, however, it seems there's a pretty decent task of pulling yourself from one building to another. Kinda like TAR5's. Well, I hope I've been of help and once again, good job everyone. Good job, Dragoondaniel. Thanks for coming out of lurkdom and posting. You'll find we have a lot of TARA fans here.